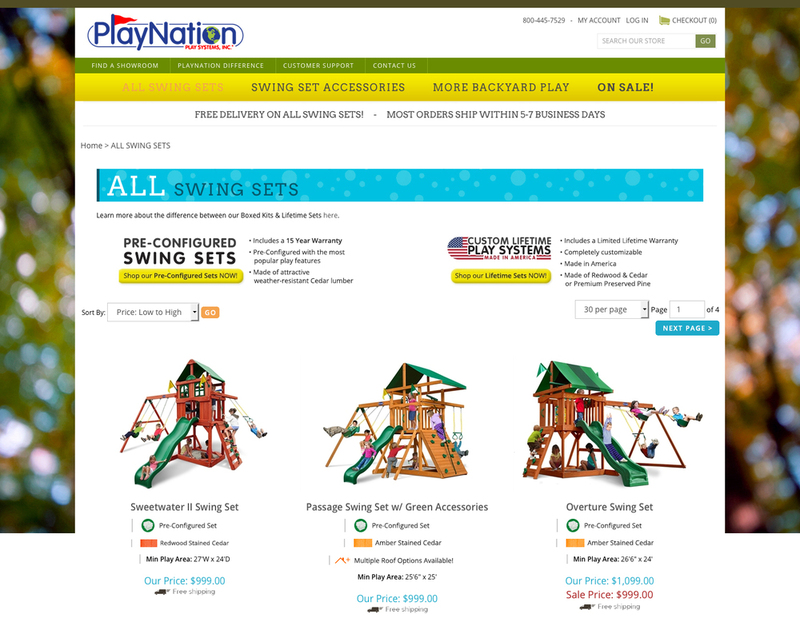 A redesign of the PlayNation website. I designed a comp for the new site and customized the code on an existing template to match our brand. This involved changing the navigation styles, adding a static background, customizing our product pages and building out hand-coded company information pages. PlayNation.com homepage. The slider graphic was designed by one of our in-house designers. Swing set list page. I designed the consistent look of the product details that are visible before clicking through to the actual product page. 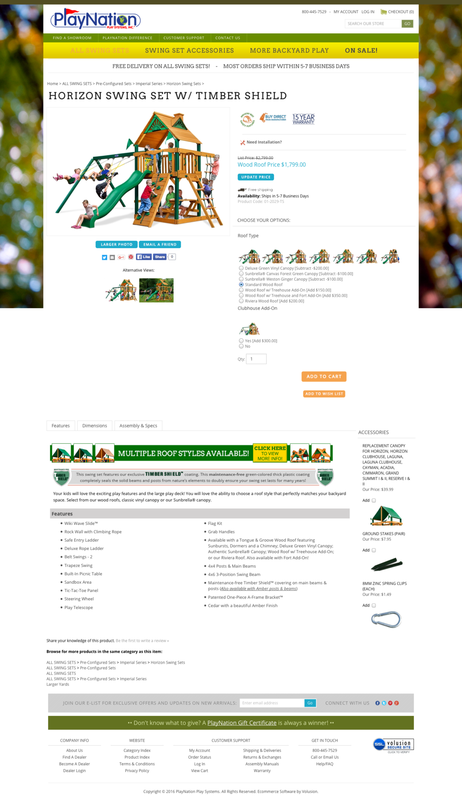 Swing set product page. I designed the ordering structure (selecting roof types, etc) and the information that is visible in the product details tabs. Safety features informational page. An example of one of the inside company information pages I designed and coded. The contact us page for PlayNation.com.